The traditionally proportioned basswood slats of our Country Woods® Classics™ blinds come stained or painted in more than two dozen colors, and 3 different slat sizes: 1″, 1 3/8″ and 2″. 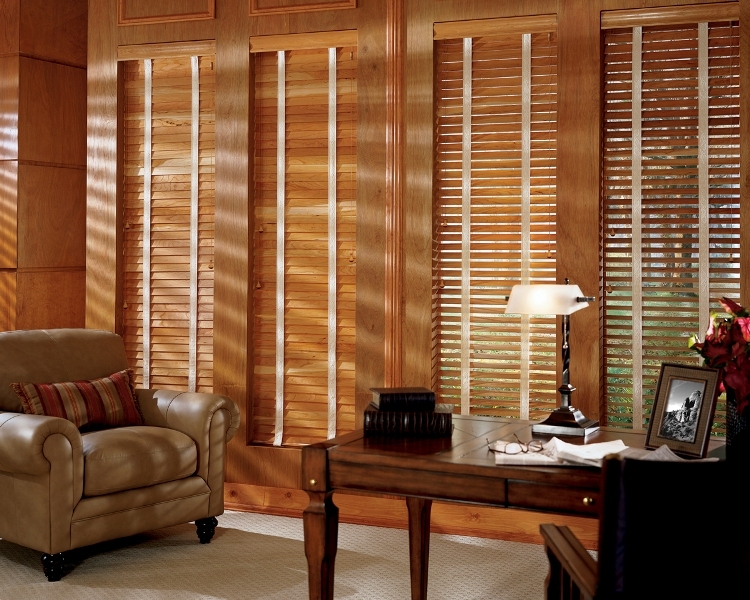 Built from premium hardwoods, these horizontal blinds complement the styling of any room with a crisp, clean architectural design. Available in three slat sizes: 1″, 13/s” and 2″. de-Light™ feature is available on 13/s” and 2″ slat sizes. 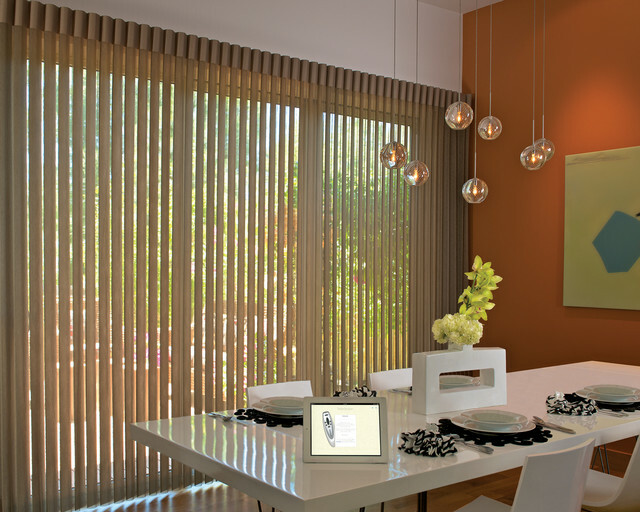 PowerTilt™ and LiteRise® systems available with 2″ blinds. Decorative tapes available on 2″ blinds. Largest selection of painted colors and stains. 1″ and 13/s” slats sizes fill a niche for shallow installations. 13/s” slat size provides a better view through the slats when used in shallow installations and offers less stack than the 1″ slat size. If a 2″ blind is in a room that also has French doors, a 13/s” blind mounted on the door allows a wider slat view to complement the 2″ blind. Top Shield™ finish is five times more durable than its competition. It is easy to clean and resists scratches and stands up to common household cleaning solvents. 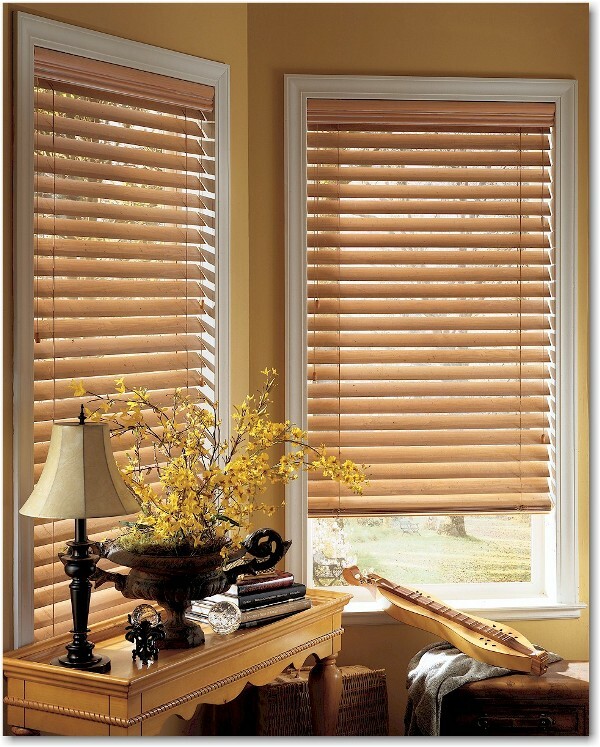 TopShield finish provides a consistent gloss and color throughout the wood blind. The de-Light™ feature can be specified for a routless design, which reduces light leaks and ensures a higher degree of privacy. Valances include: 31/4″ Grandover™ (standard), 41/2″ Havencrest™ (optional) and 41/2″ Windermere™ (optional) with hidden valance clips. PowerTilt™ is an affordable motorized tilting system. It is a battery operated remote control system to tilt the louvers. This is especially good for hard-to-reach windows. LiteRise® option is a cordless operating system allowing the customer to lift the blind with a touch of a finger. Both systems provide enhanced child and pet safety.